Doug Bowser to fill his shoes. 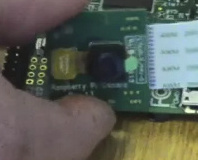 CSI camera hits the open market. 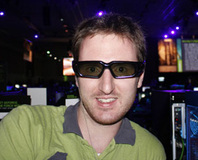 Nintendo has announced it is working on a new, 3D DS handheld - one without goggles. 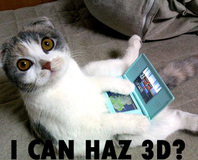 Nintendo CEO Satoru Iwata has dismissed the practicality of 3D gaming and the usefulness of the iPad. A UK resident who imported R4 devices for piracy on the Nintendo DS has been sentenced to one year in prison. Nintendo has unveiled a new type of DS, the DSi XL, which is bigger than all previous models. Demand for the DS and Wii has finally started to slip it seems, as increased competition from the iPhone causes a 40 percent drop in sales for Nintendo. 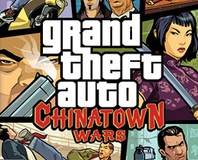 GTA: Chinatown Wars sales are "disappointing"
Sales of the first Grand Theft Auto game to hit the DS have been nothing short of awful according to analysts. Nintendo has unveiled the first six DSiWare titles will be available for the American and European launch of the DSi. 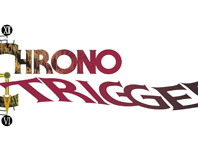 Chrono Trigger is heralded as one of the best games of all time and was an early RPG success for Square Enix back in the day. Now, the title has travelled through time and space to land on the Nintendo DS. Does the classic still hold up though, or have our palates matured too much? 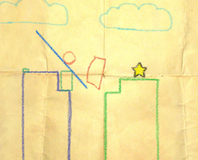 Crayon Physics Deluxe, the Crayola-alike indie game of much fame and acclaim, will be released later this week. Nintendo's new DS model, the DSi, has a lot of new features and protections - but that hasn't stopped it being cracked within days. In a move that's sure to annoy many Nintendo fans, the company has just revealed that games for the new DSi will be region locked. DSi to invite further piracy? Developers are certainly getting very excited by the promise of media storage on the DSi, but could that be offset by piracy fears? As of Spring 2009, Nintendo has announced that Wii users will be able to download games straight to an SD card to help compensate for poor storage. Nintendo has just unveiled the new DS handheld, dubbed the DSi, which comes with a whole load of improvements over the DS.